"My grandmother is currently a client of A Better Choice Home Care, and she loves it. The company is very patient, determined, and understanding. The staff members, are very good. They're prompt, well trained and also very helpful. I'm glad we've decided to work with this company." As we age, the everyday tasks that come with living independently can become increasingly difficult. Duties that were once simple and routine-such as preparing meals and maintaining proper hygiene-develop into frustrating challenges. If you or a loved one is struggling to perform the tasks that come with living independently in the Charleston & Mt. Pleasant, SC, area, consider quality in-home care from A Better Choice Home Care. 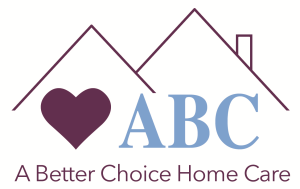 Dedicated to enabling seniors to age in place without sacrificing their quality of life, A Better Choice Home Care provides senior personal care and companion care services in the heart of South Carolina's low country. Based in Mt. Pleasant, SC, our senior home care services are available to residents in surrounding areas including Berkeley, Charleston, Colleton and Dorchester counties. Call today at (843) 729-1330 and request a free consultation to learn how our elder care services in the Charleston & Mt. Pleasant, SC, area can help you or your loved one continue enjoying the comfort and independence of home with quality senior care services. Rely on A Better Choice Home Care to provide all the in-home care services that promote health and independence in the home. Trust our licensed and certified home care aides with housekeeping duties such as vacuuming, cleaning and preparing meals; and with personal care tasks including bathing, bathroom assistance and maintaining proper hygiene. As an independent, licensed in-home care company in Charleston & Mt. Pleasant, SC, we can customize your care package to accommodate your specific needs. Hourly services and 24 hour live-in care are available. Discover how A Better Choice Home Care can return independence and simplicity to your life at home by calling to request a free consultation for in-home care in Charleston & Mt. Pleasant, SC. A Better Choice Home Care provides elderly residents of the Charleston & Mt. Pleasant, SC, area with services that enable them to comfortably age in place, and we also provide companion care services. By offering social interaction, reading assistance and other companion services, we strive to minimize the feelings of solitude that can come with aging in place. For genuine companionship and quality in-home care services in the Charleston & Mt. Pleasant, SC, area, call A Better Choice Home Care today to request your free consultation.